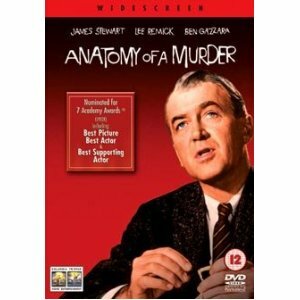 We have seen a brief identification of the main characters and a synopsis of the plot of the movie Anatomy of a Murder. Now let us examine the issues of legal ethics raised by the film. 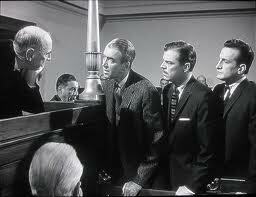 The defense attorney, Paul Biegler (played by Jimmy Stewart) comes across as an earnest, straightforward, honest attorney who zealously defends the accused. 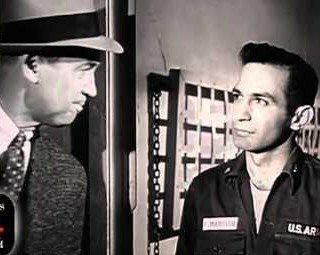 Yet Biegler comes close to crossing the lawyer’s ethical line of not suborning perjury when in the initial consultations with his client, Lt. Frederick Manion (played by Ben Gazzara), Biegler tells the client the only potential defense is insanity before the lawyer knows all the facts and then implicitly invites the client to develop a story of insanity. During the trial, Biegler frequently appears to be an unskilled trial lawyer. He makes improper objections, such as “Now, he [Dancer, one of the prosecutors] cannot do that.” Biegler also frequently and knowingly asks improper questions, and the prosecution’s objections are sustained. His client, Manion, asks Biegler in an aside how the jury can forget something that the judge has stricken. Biegler says the jury cannot forget, which is precisely the reason why Biegler asked the improper question. 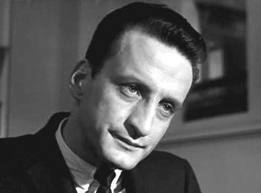 Another example of Biegler’s apparent inept performance as a defense lawyer is his failure to object to the examination of one witness by both prosecutors–District Attorney Mitch Lodwick (played by Brooks West) and Assistant Attorney General Claude Dancer (played by George C. Scott). Such “dual teaming” is clearly improper as a matter of trial practice. Soon thereafter, however, Biegler reveals his calculating courtroom manner when he raises that very objection while slyly arguing to the jury that it is unfair for a simple country lawyer like himself to face two legal giants with the same witness, and the court sustains Biegler’s objection. Who really is the courtroom giant? Biegler also reveals his skills as a trial lawyer when in a conference in chambers with Judge Weaver (played by Joseph Welch), Biegler initially plays dumb when Dancer asks if Biegler is familiar with a Michigan statute that allows the prosecution to have its psychiatrist examine an accused who is asserting the insanity defense. Dancer then comes across as a reasonable attorney when he suggests that Biegler just agree to the adverse examination. But Biegler is well aware of the statute when he tells the judge that a formal application is required for such an adverse examination, but that the time for such has passed. Dancer then is forced to abandon his request. Later during Biegler’s cross examination of the prosecution’s expert witness, Biegler forces the adverse expert to admit that he did not examine Manion whereas Manion’s expert had and that Manion’s expert, therefore, had a better basis for his opinion. At the heart of the legal issues in the movie was the definition of insanity as a defense to criminal liability. At the time of the movie and today, the definition in most states in the U.S. is the M’Naghten rule: a person is insane if at the time of the act, he did not know what he was doing or did not know that what he was doing was wrong. In a few states, on the other hand, insanity was defined as someone who could not control what he was doing because of a mental impairment even though he knew what he was doing was wrong. This was the so-called “irresistible impulse” test. In the movie, Biegler assumes that Michigan follows the M’Naghten rule, but on the Saturday before the start of trail, he and his co-counsel, McCarthy, spend time in the county law library in the courthouse and find an old Michigan case that approves of the irresistible impulse rule. This makes for a dramatic scene in the movie. But to conduct legal research on the key issue in a murder case only a few days before the start of trial really is skirting the edges of legal malpractice. This legal issue becomes important in a conference in chambers with Judge Weaver (Welch) when the prosecution suggests that Manion change his plea to guilty after his expert psychiatrist testifies that Manion could have known right from wrong when he killed Quill. Biegler refuses this proposal while handing the judge the law book containing the Michigan case. Dancer then backs away from his idea, saying he remembers the case. Dancer’s conduct raises another legal ethics problem. As an assistant state attorney general, he is brought into the case because of his expertise on the insanity issue. As such an expert and as a member of the Michigan attorney general’s office, he has to know that the Michigan Supreme Court had approved of the “irresistible impulse” test, as he indicates when he says he remembers the case. (How could he forget?) Yet Dancer makes the suggestion in chambers that Manion change his plea because his psychiatrist did not support the application of the M’Naghten test. Perhaps he thought he could trick his supposedly less-sophisticated adversary, Biegler, with this suggestion. But an attorney has an obligation not to knowingly misstate the law to the court, and by making the suggestion in chambers that is exactly what Dancer did. In Dancer’s defense, he could argue that he was not making a formal motion for a directed verdict that required a decision by the judge, but this distinction, in the author’s opinion, is insufficient to exempt a prosecutor, who also has obligations to justice. The movie ends with an interesting twist that I will not reveal so as not to spoil the fun. Buy or rent the DVD of the movie. Watch it. Enjoy the performances of great actors and the music of a great musician (Duke Ellington). And learn about some issues of legal ethics. The case they find in the law books in the movie is an actual case, People v. Durfee, 62 Mich. 487, 29 N.W. 109 (1886). In the July/August of Foreign Affairs, four essays on the action of the CIA in four countries are discussed in apologetic form. The cover uses the artwork of the film Anatomy of a Murder. Ironically, the issues discussed in the four essays do hinge on the possibility of irresistible impulse and excuses the CIA of the horrible events that followed their successful overthrow of the governments in Iran, the Congo, Pakistan and chile. There are no countervailing discussions but perhaps the cover artist was making a statement. Peter, thanks for pointing out the essays about the CIA’s actions in these four countries and the cover’s use of the artwork in the publicity for the film “Anatomy of a Murder.” I do not subscribe to Foreign Affairs, but usually look at it in a bookstore and occasionally buy a copy. I will buy a copy of this issue. Thanks again.